Discussion in 'Forum Introductions (Who are you!?)' started by SebPP, Jun 12, 2018. After having lurked this forum for several months, I have finally decided to join this amazing community. I have read both TMF and Unscripted which have completely open my mind. I'm still working a 9-5 good-paying slowlane software developper job. However, thanks to MJ's books advice, I'm now in the process of developping my own SAAS business. I'm planning to create soon a Progress Thread regarding this SAAS venture in order to share to the community what I have learnt so far during this journey. Again, thank you very much to all and especially to MJ DeMarco. TimTheCoder, MJ DeMarco and jon.a like this. 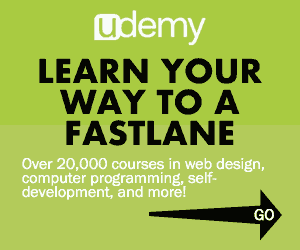 Great Fastlane skill to have! MB2 and SebPP like this. Thank you very much for taking the time to personnally welcome new forum members like me. It is very kind of you and I'm very honored of that. You're right, being a Software developper is a great Fastlane skill to have, and I will certainly use this skill to develop my venture. 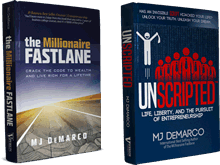 Sadly, while I was chassing "easy oportunities" during the last 10 years, I didn't realize that I had "golden" skills in my hands that could be used to provide value on a large scale until I read TMF and Unscripted. In addition to software development, I have also developed skills in UX/UI in my slowlane job which is very usefull to develop an easy-to-use SAAS. We, the people here, have only one direction.What's it? onward and upward. So,welcome to the forum fellow fastlaner. Always onward and upward.That's how we operate!